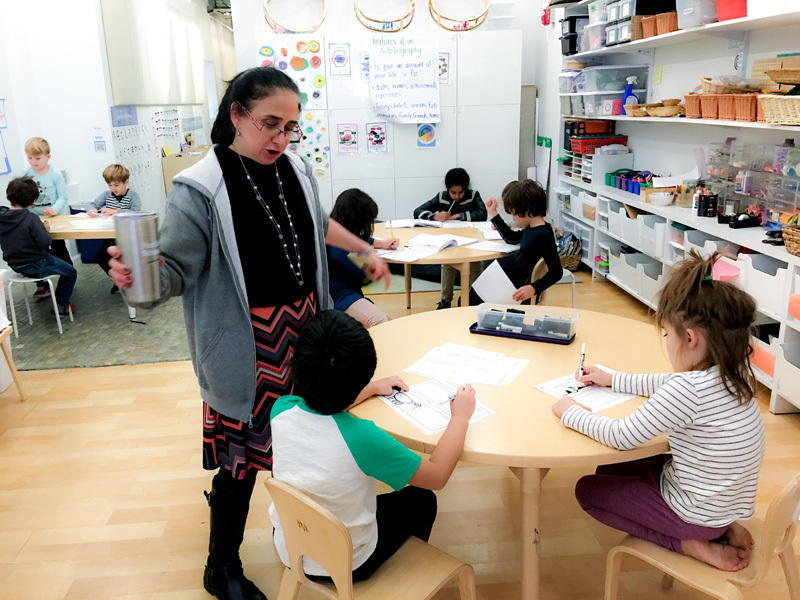 A weekly update on the learning and creativity happening at Portfolio from Dr. Shira Leibowitz, Founding Director of Lower School and Nancy Otero, Founding Director of Research and Learning Design. 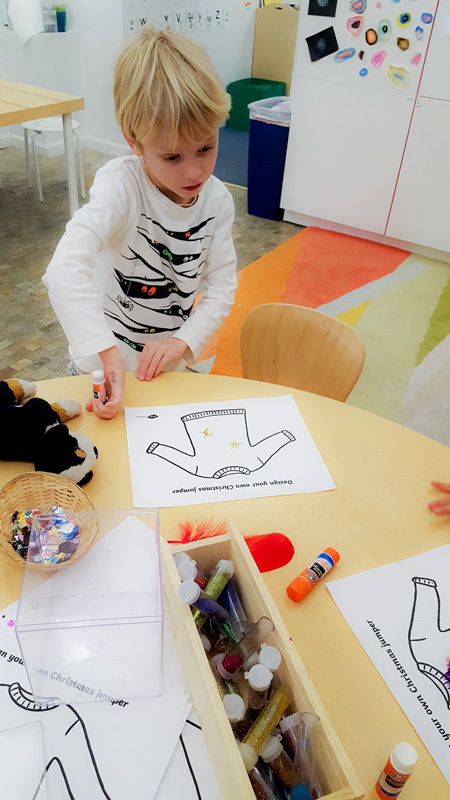 Celebration and exploration have been themes for the past two weeks as we have enjoyed the final days of 2017 together. We’ve been enjoying the benefits of our recent focus on community with deeper understandings about community, more imaginative creativity in designing what a community on Mars might be, and most significantly in our actions within our own community right here at Portfolio. 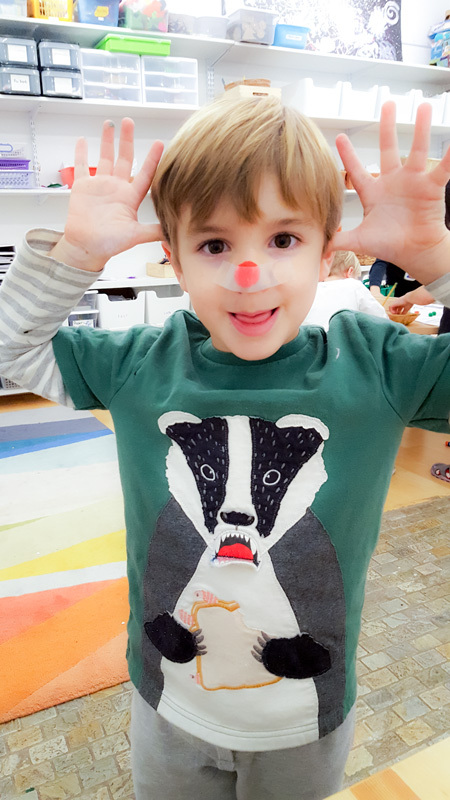 A feeling of communal closeness was palpable as we joined together for a holiday celebration. We shared foods we enjoy with our families on the holidays, and joined one another with a “kid champagne” (sparkling apple juice) toast, each of us sharing, in just one word, how we feel. The top three answers were ‘happy’, ‘love’, and ‘gratitude’. 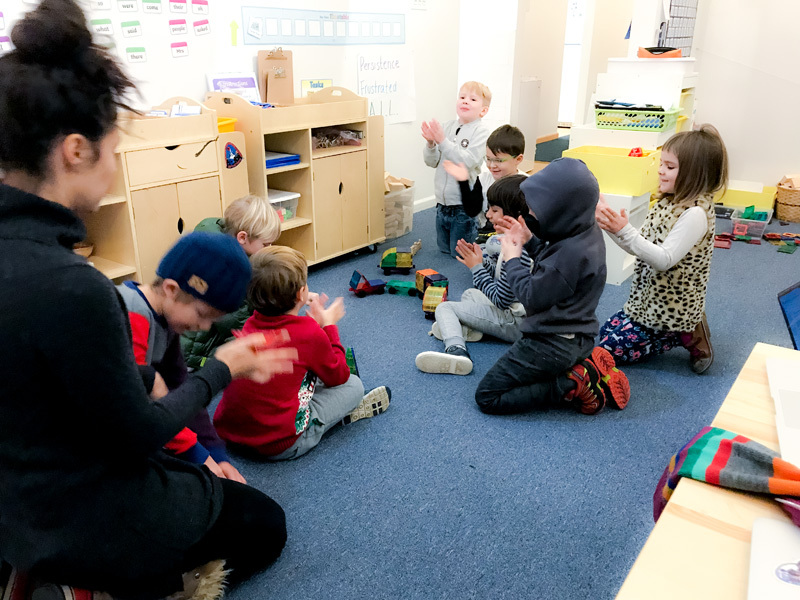 We’ve been strengthening some of the social-emotional skills significant in being a good community member, particularly making meaningful contributions and helping others feel included. We’re becoming better and better community members right here at Portfolio, and imaginatively exploring, as part of our interdisciplinary learning, what a brand new community on Mars might be like. We imagine that individuals living on Mars, like those on Earth, will need to share responsibilities and have thought about what jobs will be important on Mars. Learning about careers, we’ve been going through a process of applying for the jobs on Mars most interesting to us. We’ve had to interview with the rest of the community, answering why we are capable of the position for which we are applying and how our work will help others on Mars. We’ve done a great job presenting ourselves applying for a job, and a great job as members of the interview committee asking questions. 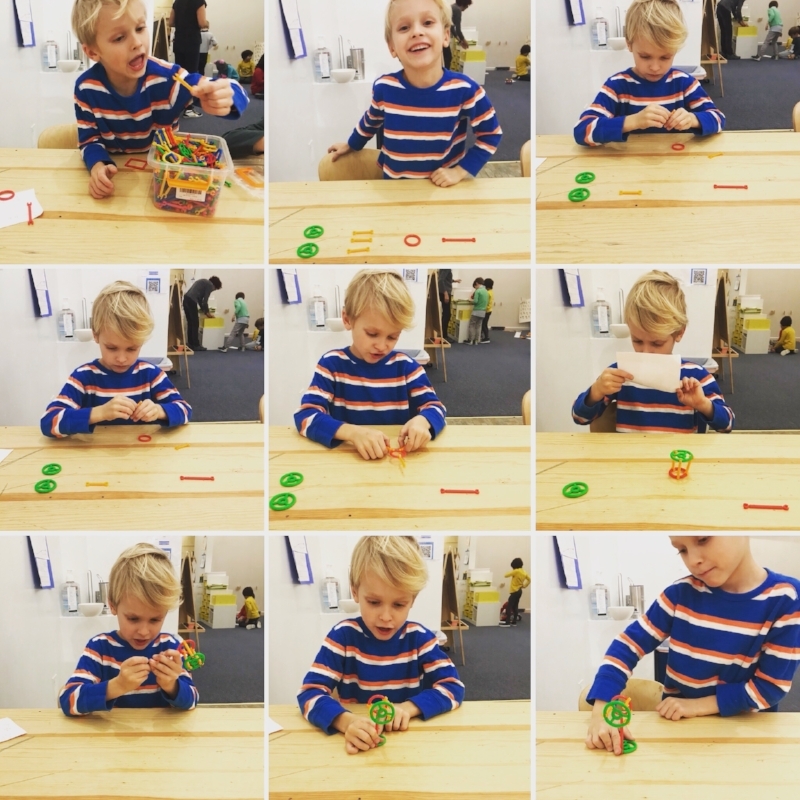 Continuing our practice of 3D printing we started using skills such as intersection, holes and solids. We viewed rotation in different dimensions to create the planets, stars and moons for our orrery. Our journey started by researching characteristics of the planets we chose to design. We then looked for inspiration to represent those characteristics in a non-literal way. Using Tinkercad, we designed our planet, moon or star. Finally, we measured our design to compare it with the sun and began the processing of scaling our design. Some of us continue the exploration of angles, time and circles. Applying our knowledge of angles, we created a visual representation of the year using the shape of a circle. Bridging the idea of models and representations from our orrery and using it to reflect on our lives, we began creating a "life map", a visual representation of who we are and how we have changed through the years. 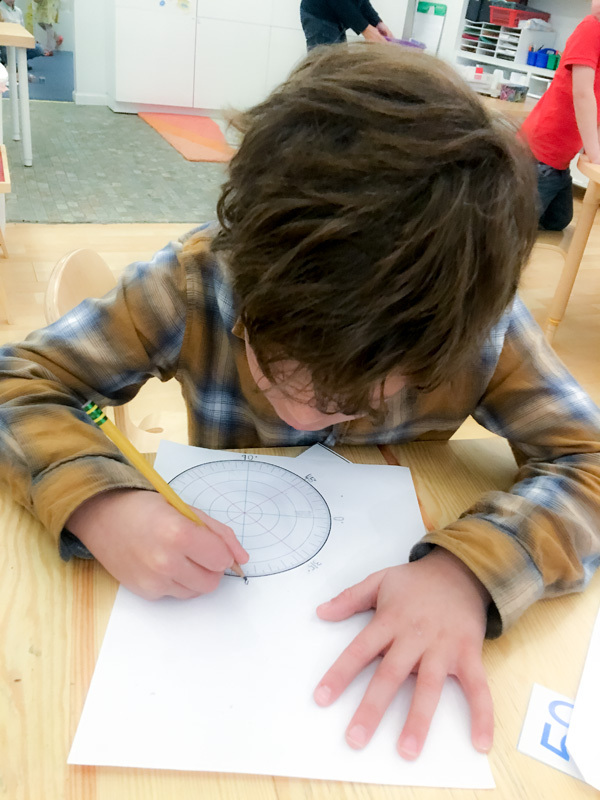 Having learned about circles with 12 equal partitions for our orrery, we designed circular “life maps”, applying angle measurement, angle operations, compass and data representation, dividing circles into as many parts as we wanted to visualize our lives. Some of us moved beyond our life maps to begin writing our autobiographies, reflecting on our relationships with our communities and how that relationship has changed through the years. We embedded our learning of grammar into this autobiographies, with additional practice with using determiners, nouns, verbs, prefixes, suffixes, prepositions and high level punctuation. Having learned how humans may arrive on Mars, we are now considering challenges humans seeking to settle the Red Planet will face once we arrive. Among the many anticipated and not yet anticipated challenges of settling Mars, we as a group selected those of greatest interest to us: securing food and water, building suitable shelter, and caring for animals. Working in three mixed age teams, one focused on securing food and water, one on building suitable shelter, and one on caring for animals, we are considering what humans might achieve on Mars, conflicts that might arise, and how new Martian communities and cities might be organized. Working in our teams, we realized how some of us have different ideas for solutions and it's hard to arrive to a consensus. How we can agree into what solution we should try? Who gets to make that decision? How we can organize ourselves so everyone is included? We continue this learning and exploration as we consider ways to best organize our teams, ideate solutions to the problems of settling on Mars, research, and learn more about food, shelter, the possibility of bringing animals to Mars, life on Mars, and the joys and complexities of human interaction in community. Continuing our investigation of sequences and instructions, we each wrote our own “how to” guides to create or do something. We considered a range of organizational features when writing instructions including labeled diagrams, numbered instructions, and clear directions. 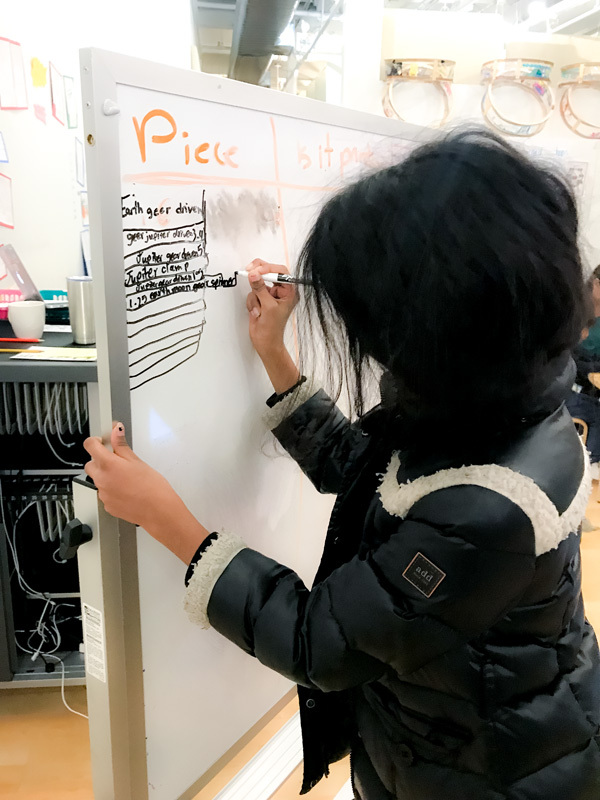 We practiced our use of time connectives (first, next, then) in giving instructions, as well as our use of adverbs and the imperative (bossy verbs). We then wrote instructions for an audience. We chose whether to write our instructions in words or to draw our instructions. Those of us who wrote our instructions gave and received feedback from a friend, using a checklist and helping each other to make our instructions more effective. Those children who chose to draw their instructions paired up with one of the adults, and coached the adult who to follow the instructions. Adults then gave their child coaches feedback on how effective their written and verbal instructions were, helping the child coaches to make their work even better. 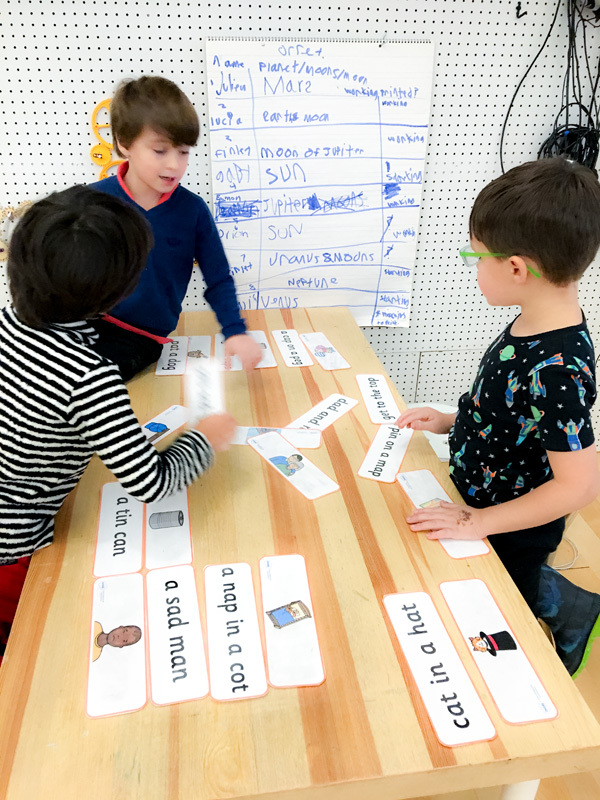 We extended our application of instructions in our computational thinking activities, programming sequences of steps to complete a task . This included using the four basic commands (forward, backward, left, right) to help somebody find hidden treasure in a room, and to escape from a block maze. 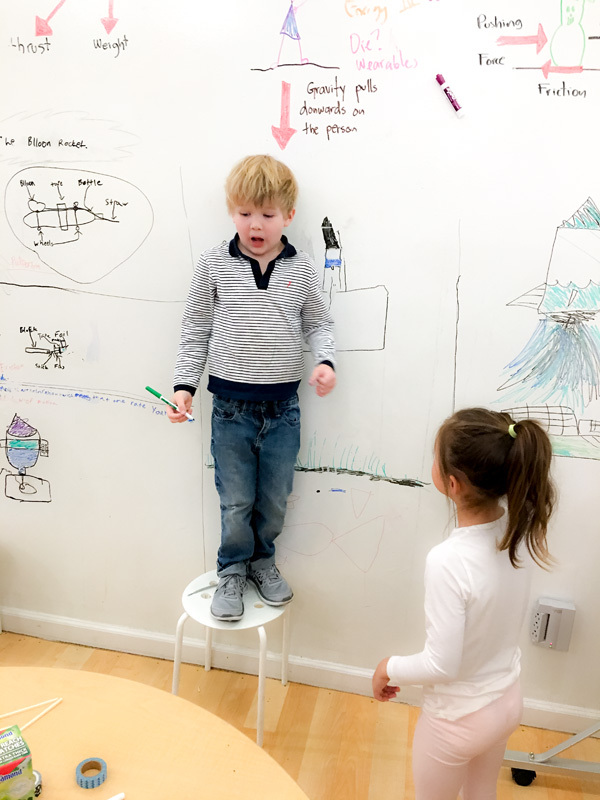 We have been reflecting on how our ideas about movement, rockets and space have changed since the beginning of the year, and have begun to plan our portfolios. Some of us constructed a representation of what we learned during the week, others recorded a video or recorded their voice, took pictures of their work, or wrote a reflection on their learning. On Friday personal project day the school is abuzz with excited engagement as we delve into a range of creative expressions. 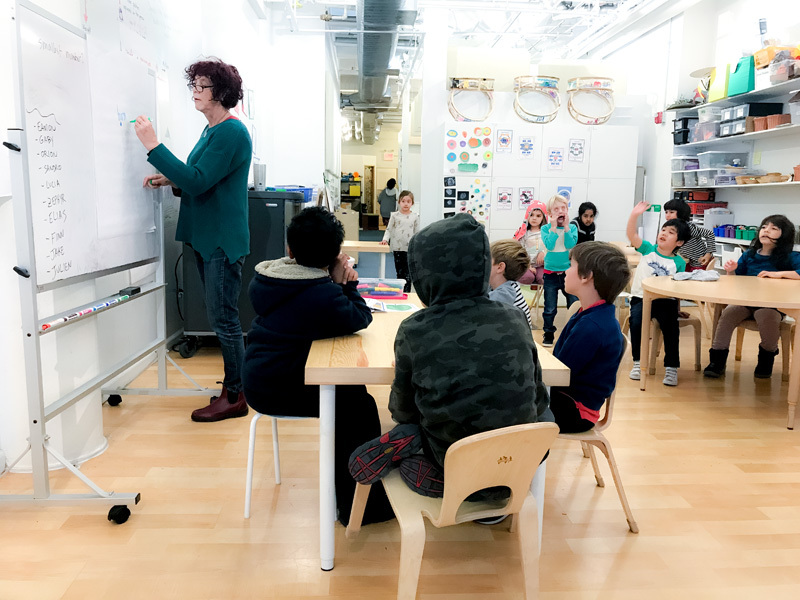 We introduced “kid led” projects, with students taking on leadership of project centers, instructing one another in laser cutting design, sewing, and various construction projects. A new opportunity was introduced as some of us began the construction of a robotic arm. A number of us remain deeply engaged in assembling our laser cut pianos with the help of artist-in-residence David. Others continue to construct sculptures with laser cut recyclable pieces. Some are writing stories. 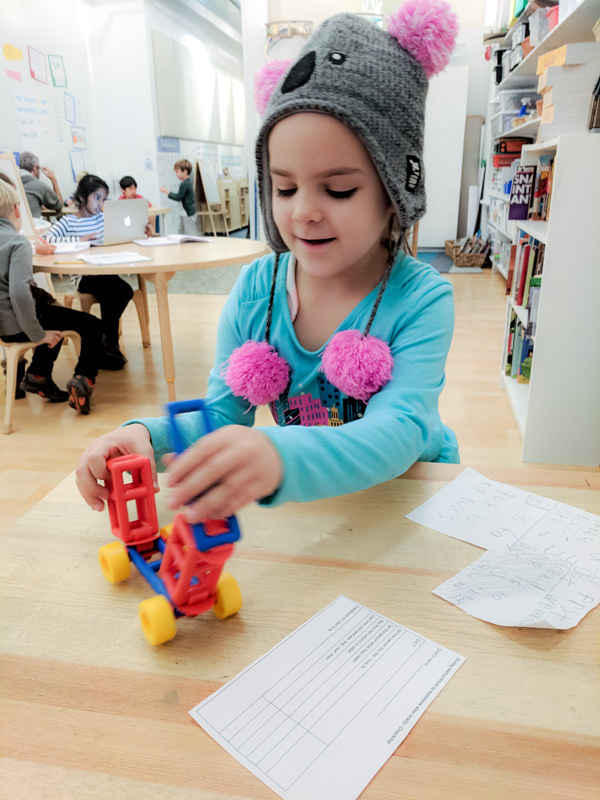 Others completed a range of design challenges, played strategic games, created stories by design with lego lego, and explored the conductivity of various objects.